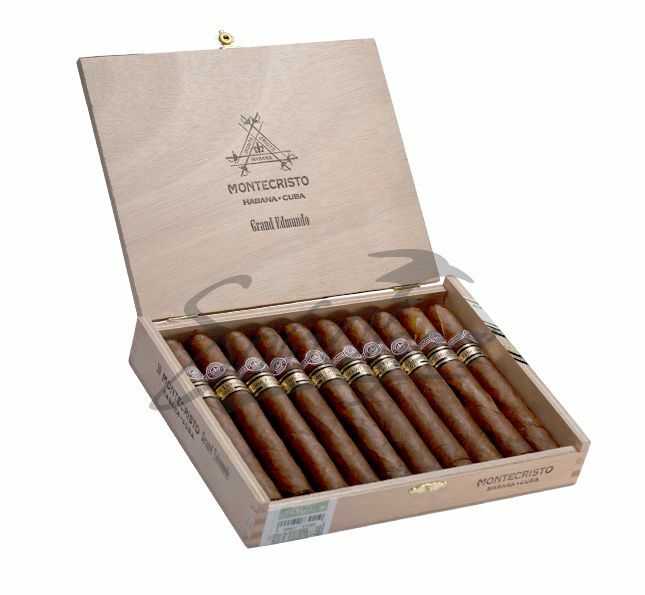 Montecristo Grand Edmundo 2010 Edicion Limitada, appeared to be especially well finished with a dark brown wrapper, no soft spots, and an intense, dense feel in the hand. With a slightly tight but smooth draw, pre-light draw gave off notes of chocolate and (according to Sean) fresh carrot. After lighting, the first few puffs produced a good deal of smoke, intense spice, dark chocolate notes, and a healthy nicotine kick. Soon after this, the flavors mellowed and the spice was replaced with more chocolate, sweet honey, and cedar. There were definite hallmarks of the cigar's youth, as there was a slight tang that we both detected on the draw and a faint bitterness on the finish, but this didn't distract too much from the very enjoyable experience. As the cigar progressed to the second third, the flavors became more harmonious and creamy, with a great heaviness to the body that lingered in the mouth. As we moved toward the final third, however, the flavors became overwhelming and intense, and all semblance of balance vanished. More bitterness crept in and made the cigar unpleasant, so we set it down to die gracefully near the beginning of the final third.